Set up an autoresponder if you are going on holidays and want to inform your e-mail contacts when you are contactable again. 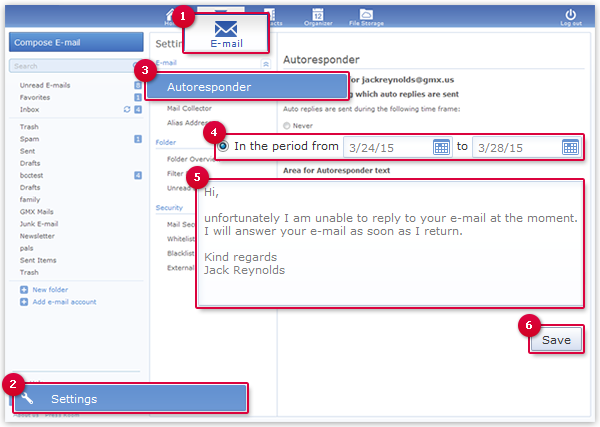 If you are away for a prolonged period, you can set up an autoresponder. If you have multiple e-mail addresses, you can use this setting separately for each e-mail address. 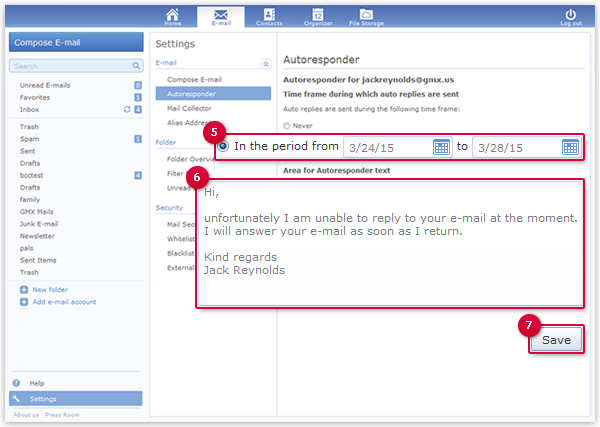 Set the period of time for the autoresponder. Write a message for the autoresponder. 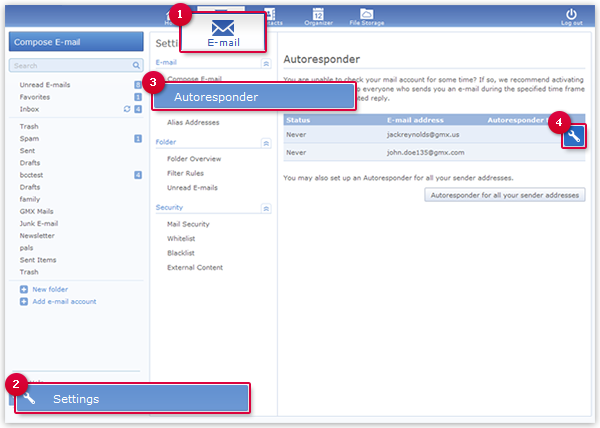 The autoresponder is only sent to each sender address once. If you have also configured forwarding and set it so that no copy remains on the server, no autoresponder will be sent. Move your mouse over the appropriate e-mail address and click the tool icon. If you have multiple alias addresses, move your mouse over the appropriate e-mail address and click the tool icon. Set the period of time for the autoresponder to Never.